I really enjoyed the recent Supernatural episode “Tombstone”, and not just because we got Dean Winchester back in cowboy garb (along with Castiel this time. Sorta). 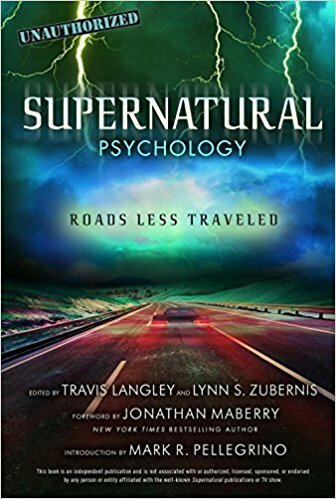 The episode had both humor and emotional resonance, which is how I like my Supernatural. It also had some interesting guest characters. I was especially taken with Athena Lopez, who isn’t your typical coroner – or your typical guest character, for that matter. So I reached out to Sarah Troyer, who brought the character to life and made her memorable even in one episode. Sarah had tweeted that she had watched the show since she was a kid, so it was a thrill to work on it – which let me know she has excellent taste in television. She agreed to answer a few questions so we all could get to know her better. Lynn: How was the character described to you or described in the breakdown? Sarah provided the description, which is always fascinating to me to see. Lynn: What did you add to your understanding of Athena to ‘flesh out’ the characterization? Was there any backstory that you constructed other than the bits of information we got on the show? Sarah: After reading the script, I believed Athena to be a strong, determined character with a loving side to her. Although she may be seen as different (her style, music interests, job), she’s absolutely confident in who she is. I don’t think viewers got to see much of her office but it was plastered with her favourite bands, artists, pin up girls etc. She definitely didn’t hide who she was. Secondly, she didn’t have much issue telling anyone off, whether it was Sam, Dean or Dave (one of my favourite things about her). However, I knew Athena had a loving side and I tried to keep that in mind so she didn’t become too brash or even stand offish. When she finds out Dave robbed a bank and murdered someone, I didn’t think she could just flip him the bird and say have a nice life. I think there would be a lot of confusion and mixed feelings in a situation like that, a moral dilemma. She loved Dave and was with him for so long, she thought she knew him but now he’s turned into someone she doesn’t know – who is he really? She should walk away but it’s hard to walk away from someone you have so much love and history with. I reflected on my own relationship and tried to play it as honestly as I could. So maybe I didn’t give her much of a backstory, but I read in between the lines of the script to add little details about who she was and her thought process behind each of her actions. I’ve been a happy Supernatural fangirl so far in Season 13, and episode 13.06 was also a win in my book. I’m not over the moon like I was last week, but it was a solid episode with great performances once again – both dramatic and funny as hell — and some great directing by Nina Lopez-Corrado, one of my favorite SPN directors. Also a special shout out to Jay Gruska for the awesome music throughout the episode, both instrumental and song choice. 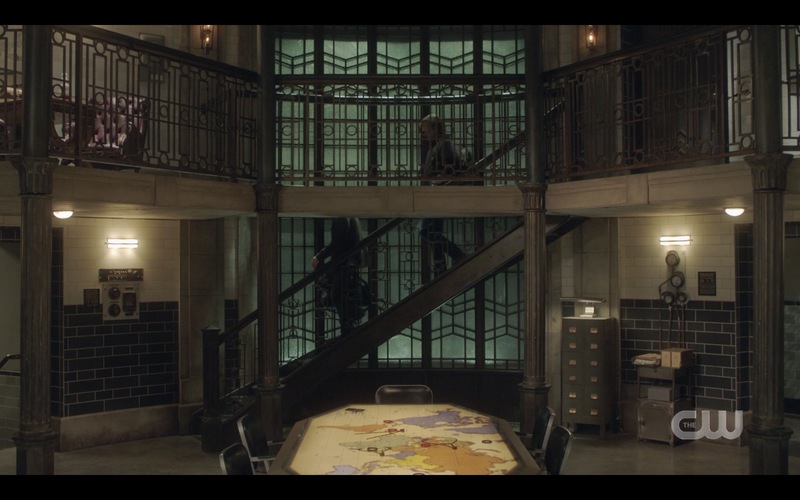 This was one of those episodes that had a specific “feel” to it, with the writing (by Davy Perez), directing, music and set decoration all contributing to make it wonderful. Supernatural has done a Western episode before, so this one didn’t carry the first time thrill of OMG we get to see Sam and Dean in the old west, but it’s been a while so I was eager to see Dean Winchester put on boots and a cowboy hat once again. And this episode marked a change in tone for the season that was significant– having Castiel back is that ‘one win’ that Dean so badly needed in order to rekindle some spark of hope so he can care again. He told Sam at the end of the last episode that he just needed a win, and he got a big one. Castiel is back, against all odds. That’s wonderful in itself, but maybe that means other things can change for the better as well. Dean has hope again, and a renewed belief that maybe what they do really CAN make a difference – just by knowing that good things can still happen. Miracles, even. I think we’ve all missed Dean’s personality this season, since his usual sense of humor and ability to take great delight in even the smallest things has been quashed by his depression, grief and hopelessness. 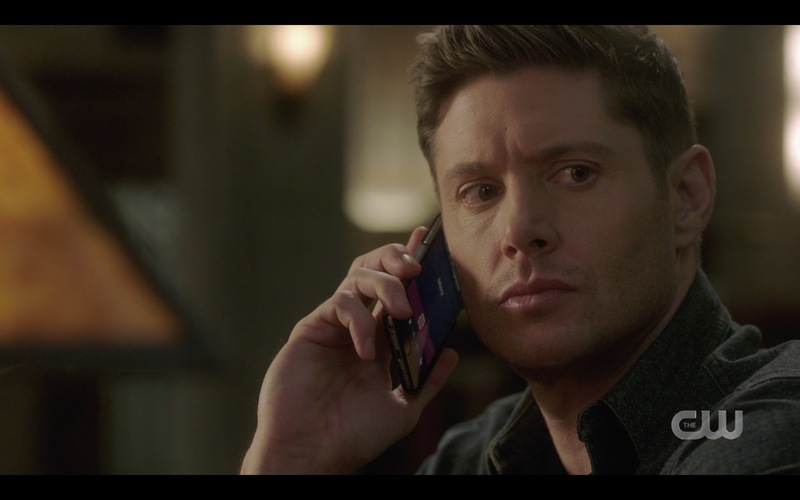 In this episode, we start to see the Dean Winchester we know and love come back to life, and it feels almost as good as when I see that start to happen with a real person, whether a client or a friend. 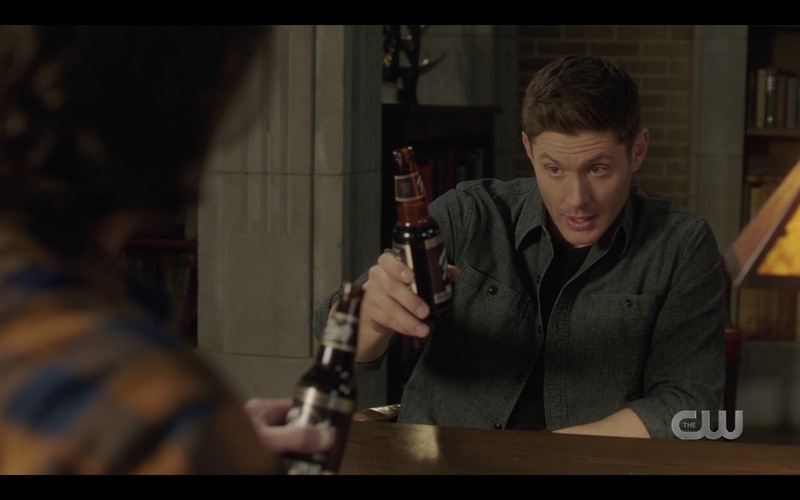 I’ve missed this side of you, Dean Winchester! The episode starts with a flashlight-lit chase in a graveyard with Dean and some sheriff guy we don’t recognize, until he disappears down a hole grabbed by who knows what. 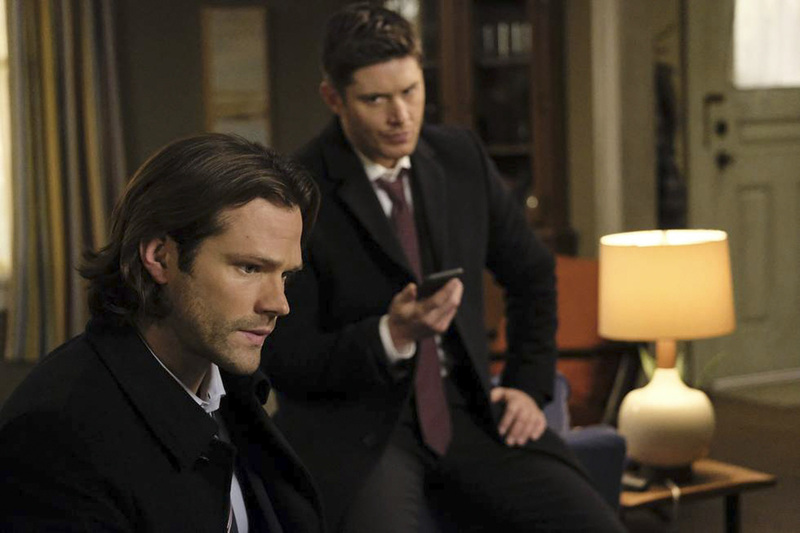 Then it’s “48 Hours Earlier” and we’re back to where we left off, as Sam and Dean react to the surprise return of Cas. You can see how desperate Dean is for that win – he barely hesitates, he needs to believe this is really Cas from the get go. The relief on his face as he embraces his friend is palpable. Last week’s episode of Supernatural had something that never fails to make me a very happy fan indeed: The Winchesters listening to each other and trusting each other and telling each other the truth. THANK YOU, SHOW! (And writer Davy Perez). That alone is enough to make a good episode imho. 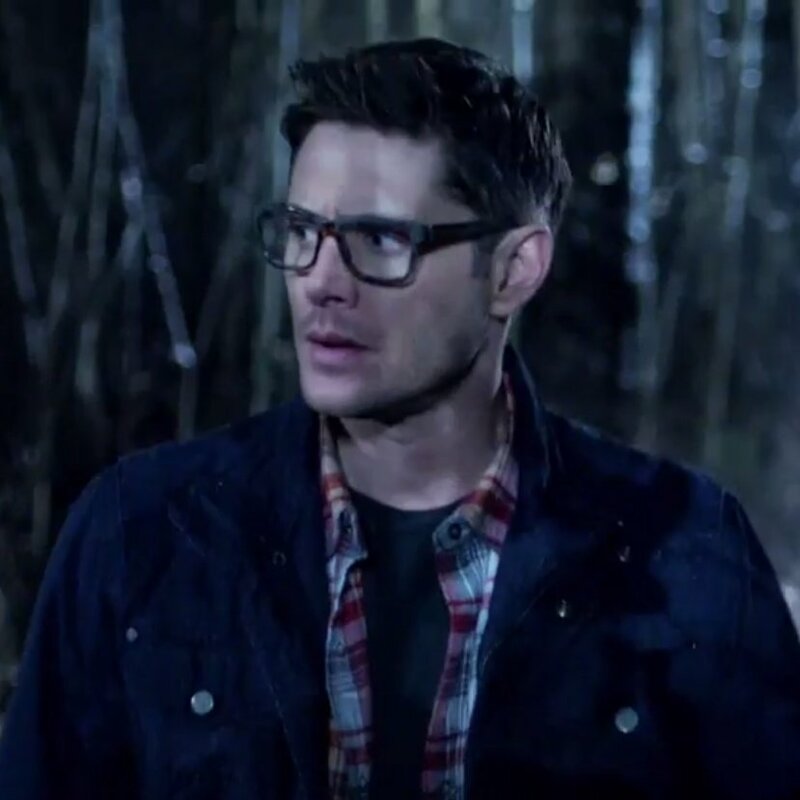 But actually there was one more thing that will always make me happy – Winchesters in glasses. Is it hot in here? So let’s talk about what I liked first, and then I’ll get to the things that didn’t quite work for me. 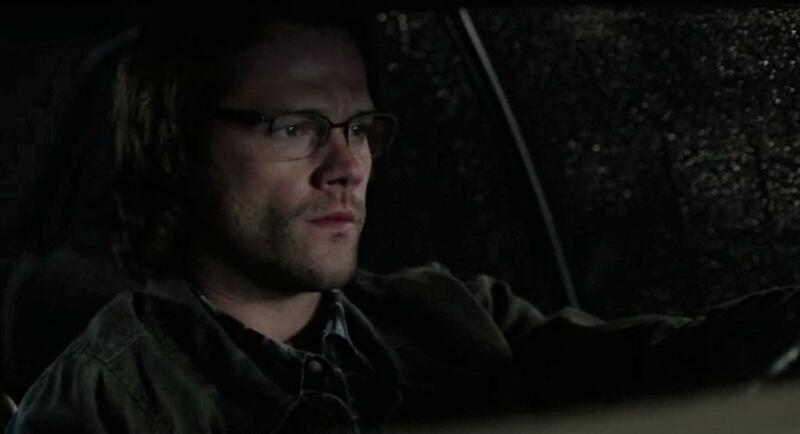 I really really loved that last conversation between Sam and Dean, where Sam comes clean about working with the BMoL and Dean, instead of flying off the handle and feeling threatened and betrayed and thus shutting down, instead hears Sam out and they come to an agreement. 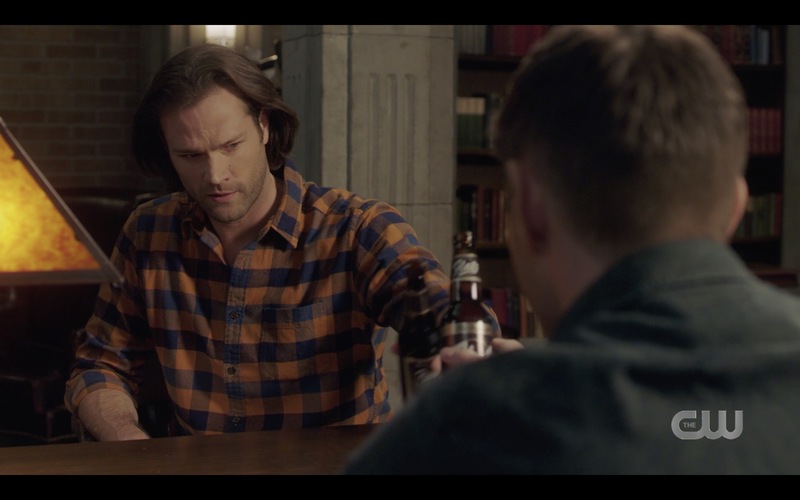 Dean isn’t anywhere near trusting them – and I don’t think Sam is either – but the brothers are on the same page about cautiously taking what they can from the BMoL while still retaining their independence as hunters. How easy that will be I’m not at all sure, but the important thing is that the brothers are together in the decision. I don’t know if I’ve ever loved Sam more than when he steeled himself and told his brother the truth.